After a strong start to the Indian Premier League, the Kolkata Knight Riders have meandered off track a bit. Once, the occupants of the top spot on the table, they are now in the bottom half, placed fifth, with four wins and as many losses – three of which have come on the trot in their last three games. They would’ve hoped a return home would’ve brought them back to winning ways. However, losses to both Delhi Capitals and Chennai Super Kings have set them back. After a break of two days, KKR are back at the Eden Gardens, preparing for their third home game in a row – this time against a struggling Royal Challengers Bangalore, who are coming into the game after a loss against Mumbai Indians. “Still pretty optimistic,” said Harry Gurney on Wednesday (April 17). “It’s obviously not a great run to be on but fortunately we started the competition really well. We’re going into the second-half with our own destiny in our own hands. I think this break we had here has come at a good time for us. It’s given us the chance to freshen up. We’ve had a couple of days off and now we’re training hard in preparation for the next game. KKR haven’t gotten all aspects of their game right across games. If their batting has clicked, then their bowling hasn’t. And their over-reliance on Andre Russell has been apparent on more occasions than one. If KKR have been over-reliant on Russell to bail them out of sticky situations, RCB, for the longest time have themselves been reliant on Virat Kohli and AB de Villiers to get them the runs. However, Gurney insists that RCB are more than just Kohli and de Villiers and that’s something that they recognise. RCB are languishing at the bottom of the table, with just one win in eight games, having finally managed a win against Kings XI Punjab after six losses on the trot in what was a horror start to the season. RCB have the team on paper but as of now, their chances of making the knockouts are slim as they come. 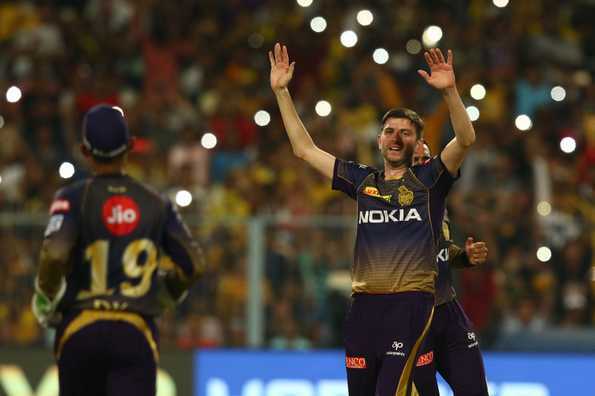 When asked if facing an RCB team that has little to lose at this point will have KKR coming out all guns blazing, Gurney said: “In the IPL, whoever you play against are world-class players. Kohli and de Villiers are two of the best in the world, but at the same time we shouldn’t underestimate the rest of the batting. Not to rest on your laurels if you do get those two out because their line-up is full of good players. We won’t focus on them necessarily. “We’ll approach it in the same way as we would for any opposition really. We’ve got access to world-class analysis at KKR, we’ll come up with our plans no doubt and hopefully restrict them as much as possible. With bat and ball you’re always striving for your perfect game. We got close to that against Rajasthan, so we know we are capable of it as a group. For the last six games if we can turn up and pull it altogether with bat and ball spinners, seamers, batters and fielders, then we’re going to be a tough team to beat. Whether they qualify or not, we’re not overly interested in that. We are more focussed on KKR.